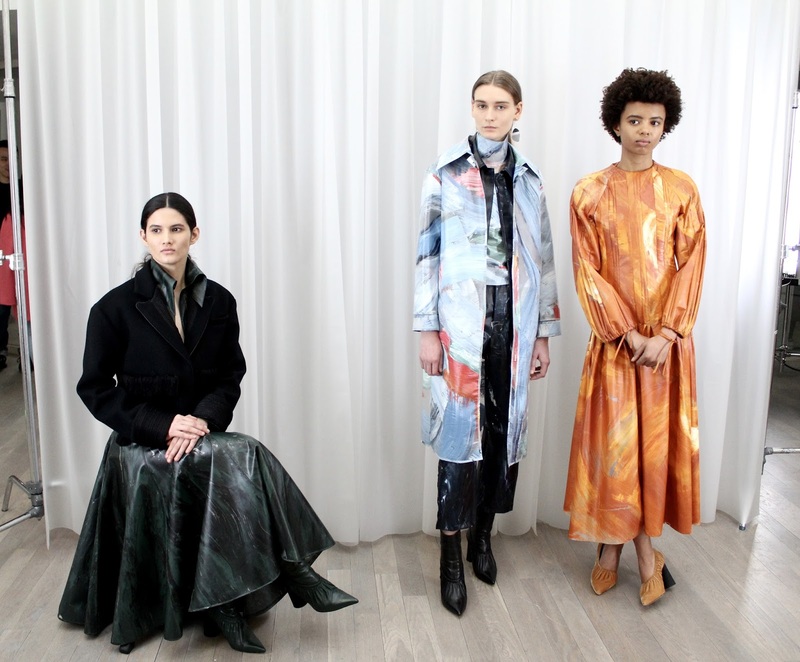 Xuzhi Chen’s label Xu Zhi appeared for the first time on the womenswear schedule at London Fashion Week in February. Taking over the Swiss Church on Endell Street, Chen was fixated on a love story from the olden days, and the relationship between model and muse. February wasn’t Chen’s first outing in London. 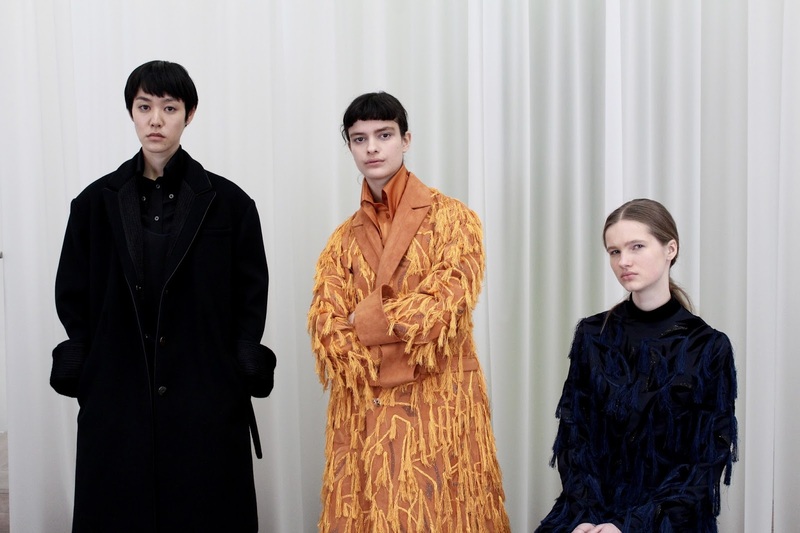 He studied womenswear at Central Saint Martins before enrolling in two of London’s recent success cases, where commercialism and creativity are balanced: J.W. Anderson and Craig Green. In September 2016 he showed an off-schedule presentation inspired by French artist Claude Monet. He was invited to Milan Fashion Week for February 2017 and the following season he was a fixture at Shanghai Fashion Week, where he recently returned for a pop-up display. 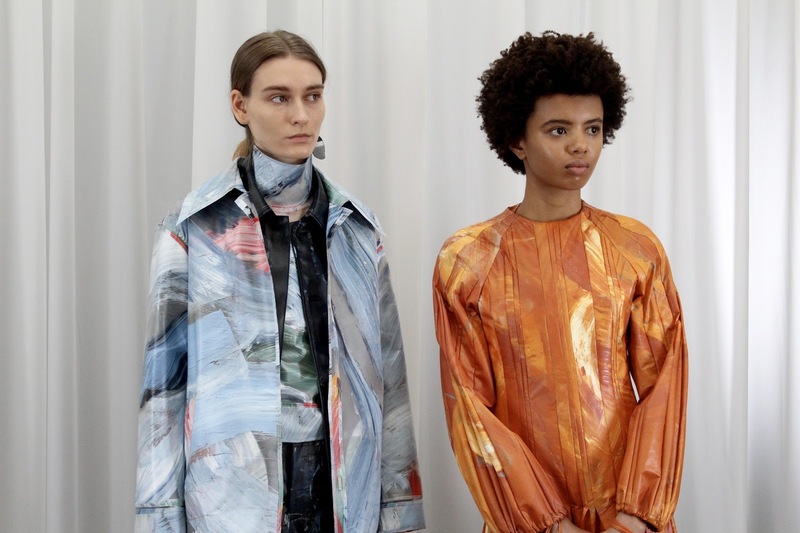 The pop-up display in Shanghai didn’t have the same effect as seeing those models, lounging about, standing in Chen’s brushstroke-print outerwear. Dante Gabriel Rossetti, a British poet and painter, was ‘obsessed’ with Jane Morris, a British model and embroider. 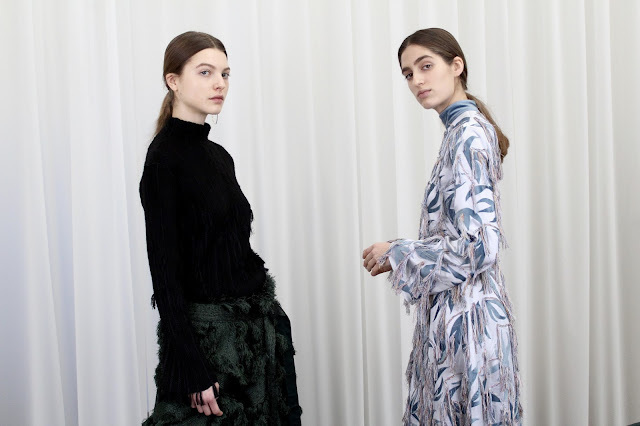 A muse to pre-Raphaelite artists, it was her “dark romance” which drew Chen into her clothes. He reflected this in a mostly sombre palette of dark green, navy and soft shades of porcelain and orange (an obvious nod to Rossetti’s 1879 painting ‘The Lady of Pity’). It would be a bit unoriginal though—wouldn’t it?—a collection inspired by an artist and the only motif present is brushstrokes printed on dresses and coats. He used tassels on some pieces to create painterly shades through a different medium. It was an enriching, tactile touch to the collection which also nodded to Jane Morris’ preferred craft. In terms of its clothing there was a strong selection on display. It was commercially viable and there was an insistence on modesty with the styling. Although it didn’t quite come off as potently in the presentation as it did in Lucy Norris’ show notes, the pertinence of the ‘model and muse’ relationship is incontrovertible post-Weinstein. Boundaries can no longer be blurred. In the #TimesUp era we find ourselves in, responsibility and accountability are hand in hand. The landscape has shifted and perhaps the art will too.